Bryan joined the Board in January 2019. A Chartered Surveyor, he has spent more than 35 years specialising in commercial and residential property investment, development and asset management. Bryan’s was an equity partner at Donaldsons LLP, a senior director at DTZ and is currently the founder/owner of Henry Duncan, a niche commercial and residential property investor, developer and financier. 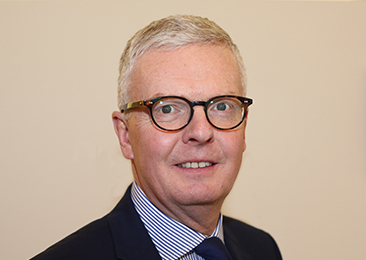 He also has a wide range of non-executive experience and currently serves as a Non-Executive Director of the Abernethy Trust Ltd, Hope for Glasgow Ltd, Cornhill Scotland and the London City Mission. Bryan holds an Executive MBA and Diploma in Management Studies.